I don't review books and movies as I finish them. I have a stock-pile of media awaiting their reviews. When I had spent a couple months reading some heavy stories, I was looking for something lighter. A petite woman picks up big men who are hitchhiking in northern Scotland. After I saw the movie UNDER THE SKIN (reviewed HERE) and felt terribly disappointed, I found out that it was based on a book. Well, that really piqued my interest because the movie posed more questions than it did answers and left a bad taste in my mouth. I wanted, no, NEEDED more information, more detail to fill in the many gaps left in the movie. 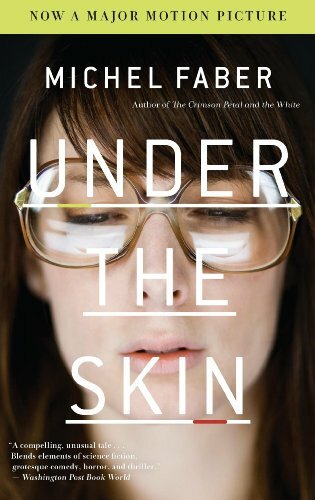 Under the Skin by Michel Faber comes in at 338 pages if you get it in print, or just over 1.5 MB in digital format. You start right off in the car with the main character Isserley, a woman driving about looking for random men hitchhiking the lonely roads of Scotland. It's very clever writing because Faber paints a tapestry of a picturesque countryside with seemingly ordinary people doing everyday things. Isserley, perhaps, seems like a girl with an appetite for large men. Is she some kind of nymphomaniac? No. As the pages turn, she starts to seem more like a serial killer. No. That's not right either. She has a team of men working with her. Maybe a human trafficking ring? 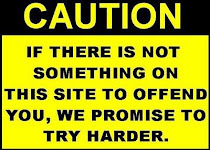 Then they are using strange words and descriptions of things. They must all be from other parts of Europe, certainly. They are aliens from another planet harvesting men for meat like we do with cattle. Once that realization settles in, you can't stop turning pages. The horror of what these creatures are doing sends a shiver down your spine. Yet, the interpersonal relationships they have amongst them seem so much like our own. Creative and thought provoking. If you enjoy a good science fiction tale, this will please you with how unsettling it is. I found this book to be horrifyingly addictive to read with a great pay-off for an ending. Way better than the movie. I give this a very high recommendation.